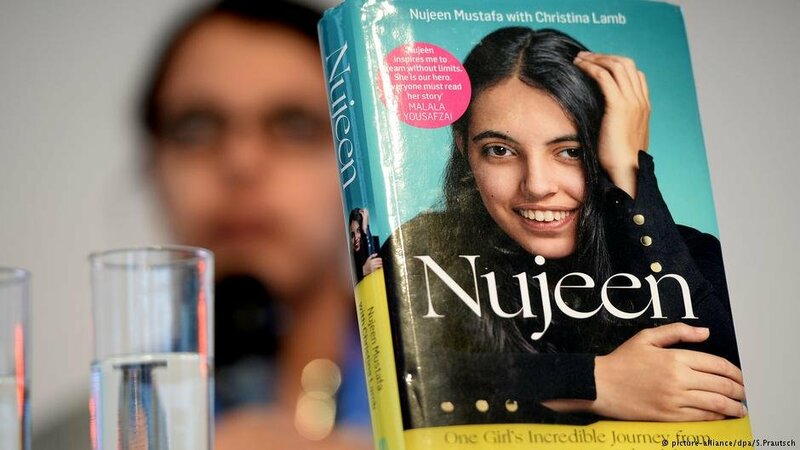 There have been numerous accounts of refugees and migrants starting a new life in a far-away country with great success, but there are few that are as inspiring as the story of Nujeen Mustafa, a young woman who made her way to Europe with her family three years ago – in a wheelchair. Fleeing the war in Syria, Nujeen Mustafa and her family embarked on a journey across several countries for 16 months to make their way to Germany, traveling 5,600 kilometers (3,500 miles) to find a new home. "It certainly wasn't the easiest thing to do but it wasn't all bleak either. 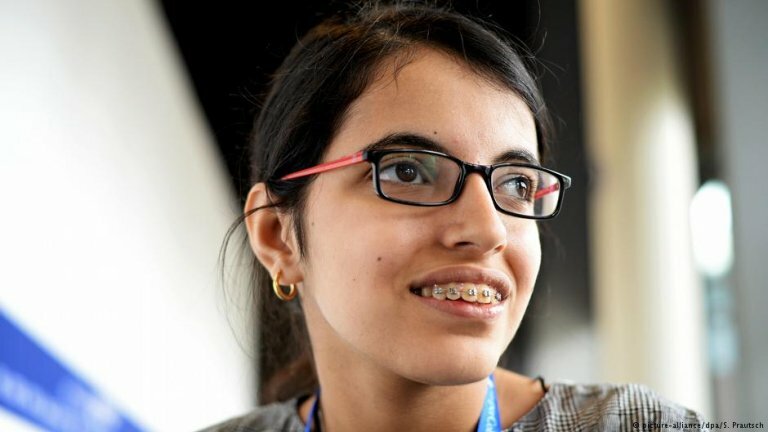 For me, it was just a chance to have a new life, a chance to have a future," 19-year-old Nujeen told InfoMigrants. "My experience taught me to appreciate the little things in life. This journey taught me to be thankful for what I have." Not everything is in perfect order in Nujeen's new life. Adjusting to certain things in Germany is proving to require more effort than she expected: "German is hard. It is a very intellectual language with a very scientific tone. It will take me a long time until I speak it like speak English," she said. However, for someone who has lived in Germany for only three years, she speaks the language almost fluently. Her English, which she taught herself mainly by watching soap operas on television, especially the series "Days of our Lives," is comparable to the level of a native speaker. As far as integration is concerned, Nujeen qualifies as a prime example of how quickly one can adopt a new culture. But there are some areas, in which she finds it difficult to fully embrace her new home: "The German food is a hopeful case. I don't like it. There are no spices, no taste. Well, the desserts are ok. I'm looking forward to the holidays in December because I do love German gingerbread." "I will definitely go back to Syria one day. No question. But I don't know if will recognize it. And I don't know if I will recognize myself there. I left my younger self there and she wouldn't recognize me. So I've nothing left (of Syria) but memories," Nujeen explained to InfoMigrants. She describes the difficult journey to Europe as "life-changing," recounting some dangerous moments she endured along the way: "We had to pay the people smugglers in Greece more so that the boat we used to cross the sea was just for our family," she says, highlighting that her being in a wheelchair meant it would be safer both for her family and other migrants if they didn't travel across the sea with others. But once the family reached Europe, their troubles didn't end. They continued from Greece along the Balkan route in hopes of reaching Western Europe. But once they reached Slovenia, they ran into problems once more: Nujeen and her family were detained there for weeks. "Being detained in Slovenia was one of the hardest things in my life. We felt so unwanted. I just couldn't understand it. We need compassion. We need shelter. We have spent so much time surviving. We are not a burden. Why are they afraid of us? Why do they no want us?" The challenges that Nujeen has experienced in the past three years of her life, especially during her arduous journey to Europe, have led her to reject being called a "refugee" – a word she says she hates "more than any word in the English language." "I have always loved space and I have always loved mysteries. And solving the mysteries of the universe is one of the biggest mysteries we have. And I also like the idea of the silence of space," she told InfoMigrants. "However, I recently realized that I'm actually not so good at math, so I might need a backup plan. That's why I'm looking at psychology now and the science of understanding humans. And humans are mysteries in their own right."